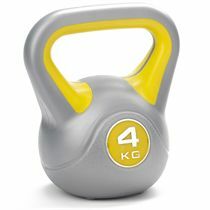 The Marcy cast iron vinyl dipped 4 kg kettlebell combines high quality materials and eye-catching design. The Kettlebell is made from cast iron, which makes it a long lasting piece of equipment. The bright vinyl coating adds to the kettlebell’s attractiveness. At the bottom there is a rubber mat that protects the floor and the kettlebell surface from scratching and helps reduce noise when the kettlebell is laid down on the floor. Additional comfort of use is provided by large handle. Kettlebells are gaining more and more enthusiasts since, they are a perfect addition to both cardio and strength trainings. Marcy logo and weight are printed at the front to avoid confusion. 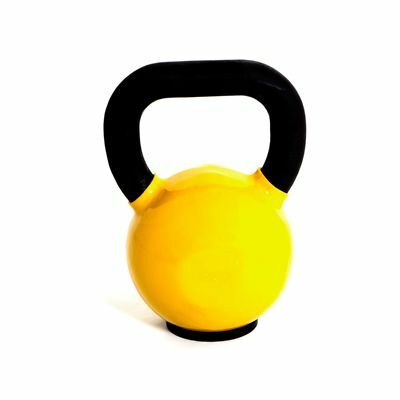 for submitting product review about Marcy Cast Iron Vinyl Dipped 4 kg Kettlebell.